While college students may be interested in starting their own business, they often don’t know where to start. That's where the Student INC.Ubator comes in. 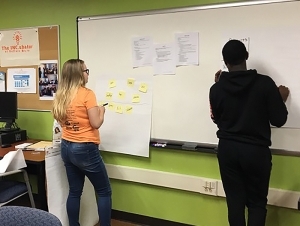 The organization provides students with tips on how to start a business and nurtures their ideas so that they can become successful entrepreneurs. The INC.Ubator helps students evaluate their business skills, develop a plan, and learn such aspects of entrepreneurship as taxes and methods of incorporation. It also provides students with mentors to help them pursue their business as a career before or after graduating. Students also can use the INC.Ubator space to develop their ideas and network with small-business owners, alumni, and local entrepreneurs who lead workshops on running successful businesses. “All the consulting that I did has pushed my motivation to believe that I can get this done. It’s extremely motivating to be around other people who have the same goals of being a student entrepreneur,” said Jalessa Montaque,’17. In 2015, Sue McCartney, director of the college’s Small Business Development Center (SBDC), and Rita Zientek, interim dean of the School of the Professions, got the idea for the INC.Ubator. Joelle Leclaire, associate professor of economics and finance, helped launch it. Dhannayia K. Johnson, ’14, joined the SBDC after she graduated, became certified as a business adviser in January of 2016, and now leads the INC.Ubator. The club helps students answer questions about their desired industry, any skills or knowledge they already possess, and how they want to work. Once they’ve established the answers to these questions, students can further develop their own business ideas. The INC.Ubator encourages students to gain the appropriate work experience before launching a business. If students don’t have that experience, the INC.Ubator leaders can point them to helpful resources.  The club, open to all Buffalo State students, hosts regular meetings on Thursdays from 12:15 to 1:30 p.m. and occasional Friday workshops in Buckham Hall A107. To become a member, a student must attend three meetings. The final Friday workshop and discussion of the semester will be held Friday, May 4, from 3:00 to 4:15 p.m. An RSVP is required. For more information, contact Olivia Harbol at smallbus@buffalostate.edu or call the SBDC office at (716) 878-4030.